We need to quit being cheap. I can go on and on about how we pay for things with time or money. Currently I'm watching Game of Thrones via Netflix DVD. They ship me a DVD with two episodes. I watch it immediately and ship it back. Two days later I get another two episodes. I could pay for HBO GO and binge watch, but I'm choosing to stick with Netflix (even though it will take me an insanely amount of time to get through all the seasons this way). 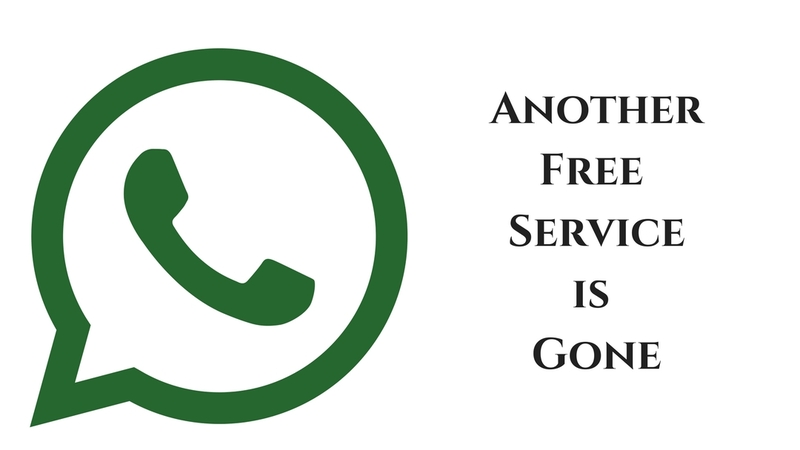 I recently heard that K7 a free service that MANY podcasters use for their voicemail is calling it quits. With K7, you could setup a phone number and it would email you the voicemail. It wasn't the best of quality, but it was usable, and it was FREE. After all EVERYBODY has a phone and for those of us over 30, we actually know how to dial it and make a call. Well K7 (like Podango, Mevio, and other free services) figured out that giving a service away for absolutely no money is a pretty bad way to generate income. So now some podcasters have YEARS of episodes with a phone number that is about to go dead. You might be able to port your number over to another service if you're lucky. I've heard some podcasters who are saying how this stinks, and now they are going to start using Google Voice. Using a free service has left you looking kind of silly, and your answer is to jump on to ANOTHER FREE SERVICE?! I've had the same voicemail through podcastvociemail.com since 2005. I've paid $2 a month Sure you pay .06 per minute, but I get maybe two voicemail messages a month so my bill is never over $4. If you do get more messages, that means you audience is engaged, and most of us would give our right arm for some engagement. Are you going to be drinking a soft drink later (or now)? Let's say a Coke, Pepsi, or the nectar of the Gods that is Mountain Dew. Well any Gas station, or Hotel vending machine is going to charge you $2 for something that might last 30 minutes. You can spend $2 a month for something that could bring value to your show. Keep in mind you only pay more (.06 a minute) if someone actually uses it (and you can set limits on how long a message can be).